I am currently on vacation in France with my mother and two cousins and was thinking, how could I incorporate my little jaunt to Paris into a post. 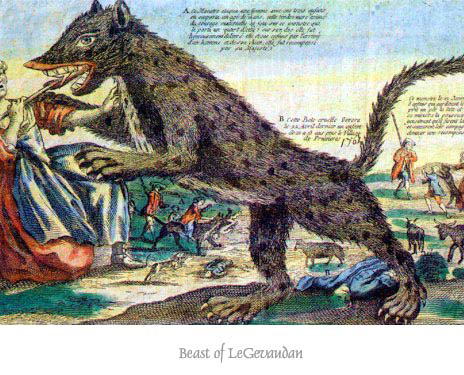 I decided to talk a little bit about the beast of Gévaudan, a man eater who was believed to be werewolf by the people of the small town of Les Hubacs. In 1765 Emmet Mardén was the first official death by the beast. The beast mysteriously seemed to prefer humans to animals, even attacking men when they were in fields with livestock. Later eight people were attacked by the beast, though they were able to drive it off. 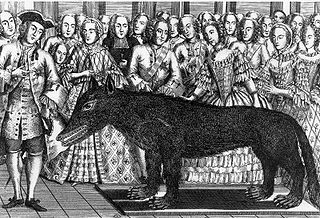 The beast eventually became well known enough throughout southern France that King Louis XV who gave an award to the eight. King Louis sent out several professional wolf-hunters to kill the beast. Jean Charles Marc Antoine Vaumesle d’Enneval and his son Jean-Fraçois arrived in Clermont-Ferrand a month after the attack on the eight people and brought wolf-hunting trained bloodhounds. Eventually the hunter killed a large grey wolf, stuffed it and sent it to Versailles. Antoine, the hunter, was given prize money, titles and awards. The animal was even identified as the culprit by survivors of attacks. However the attacks did not stop. In 1770 Jean Chastel shot and killed the beast with a blessed silver bullet. When the beast was opened up it was found to have human remains in the stomach. This animal was stuffed and sent to a museum, though it was eventually destroyed without the species ever being identified. 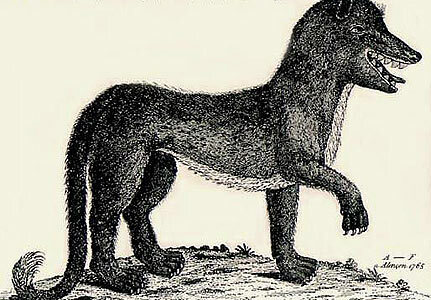 During Monster Week on Animal Planet, there was special done on the beast of Gévaudan and it was guessed to be a long haired Hyena that was trained by a hermit who lived in the woods and used the hyena to exact revenge on the townspeople who ostracized him, though there is no way to be completely sure. 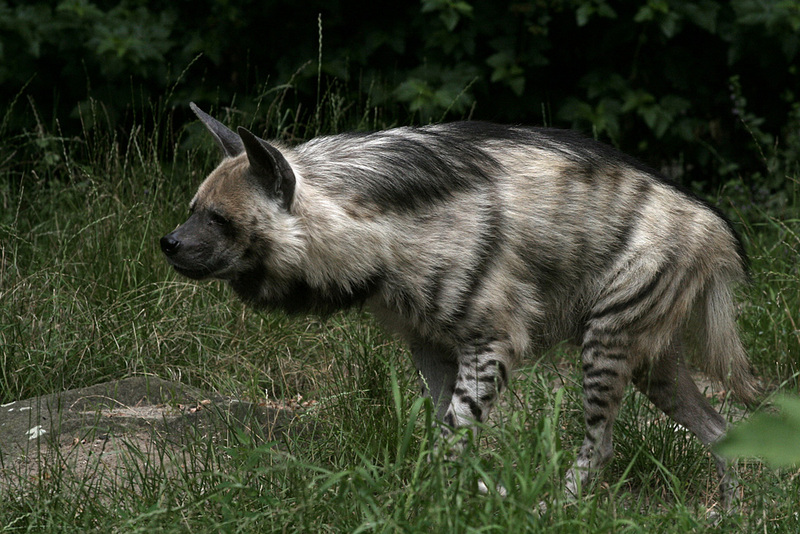 They came to the conclusion that it was a hyena due to the sketches found in the museum and the way that the beast was able to crunch through bones.